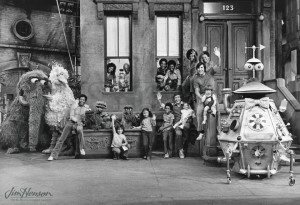 When Jim and his team entered the studio to start taping inserts for Sesame Street’s fourth season, the cast and crew had hit their stride and they were generally confident that audiences would continue embracing the show. In fact, the 1972/1973 season marked a huge expansion for the brand with the premiere of three international co-productions. According to the information kit made available by the Children’s Television Workshop, the English-language version of the show was already being seen in 48 countries and original shows were in production in Mexico for Spanish-speaking Latin America (Plaza Sesamo), in Brazil for children speaking Portuguese (Vila Sesamo) and in Germany (Sesamstrasse.) Premieres in Mexico and South America were planned for October 23rd and in Germany in January, 1973. Other initiatives in the fourth season included an effort to get college students involved with the communities around their campuses by encouraging them to connect with local children via Sesame Street. Working with CTW’s Field Services coordinating team, colleges arranged for students to get credit for organizing viewing centers or knocking on doors and showing parents how to use Sesame Street as a teaching tool in the home. The fourth season human cast included one change and one addition. The role of Gordon (previously played by Matt Robinson) would be played by repertory and Shakespearean actor Harold Miller. A new character, the folksinger Kate, would be played by real-life folksinger Malvina Reynolds, making her acting debut at age 72. Sonia Manzano (Maria) and Emilio Delgado (Luis) would return after winning the hearts of their young audience during their debuts in season three. The most visible new Muppets that season were Sam the Robot and the Count von Count, both in the capable hands of performer Jerry Nelson. Learn more about Sesame Street’s fourth season. 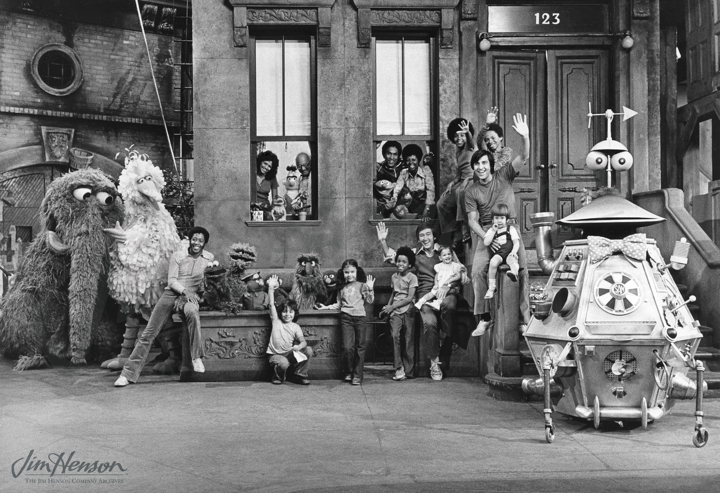 The Sesame Street cast, both human and Muppet, welcome visitors to Season Four, 1972. This entry was posted in 08-August '72, Sesame Street and tagged Children's Television Workshop, Emilio Delgado, Harold Miller, Jerry Nelson, Malvina Reynolds, Matt Robinson, Sesame Street, Sonia Manzano. Bookmark the permalink.